Someone's out for revenge, and she'll stop at nothing to get it. Your sister needs your help finding her daughter Liza, who went away to summer camp and disappeared along with several other children. As a parapsychologist and member of the police team, you're accustomed to criminal acts of the ghostly variety, but are you ready for this spirit of revenge? All that glitters isn't gold in this abandoned mining town. Play both interactive and list HOPs and enjoy learning about Nickfield's past in the mini-games and super puzzles! Uncover the mystery behind the missing children, the miners, and the supernatural in the bonus game! Collect trinkets to unlock bonus mini-games and play challenging bonus HOPs! Immortalize your adventure with wallpapers, soundtrack, and concept art. 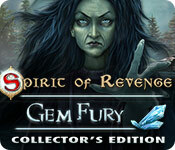 Spirit of Revenge: Gem Fury Collector's Edition is rated 3.6 out of 5 by 25. Rated 5 out of 5 by Marja67 from Best game. 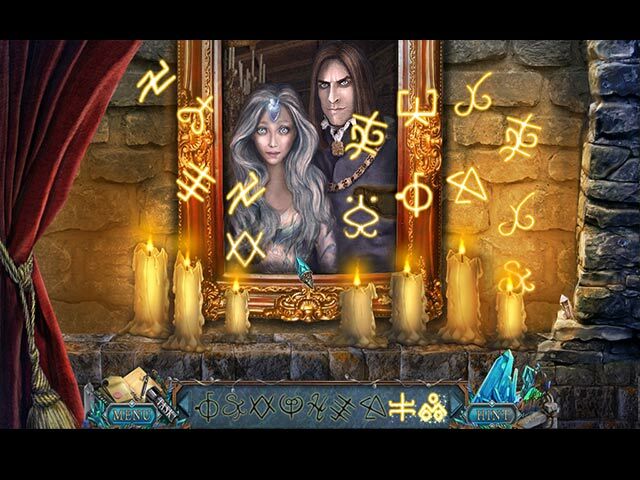 One of the best Vendel games. Love it. Scenes change fast, really pretty graphics. Voices match the person. Good storyline. Thanks. Rated 5 out of 5 by nerakrichards from Amazing!!! This is my 2nd Spirit of Revenge game and I've enjoyed every second of both games. So much so that I'm now downloading another Spirit of Revenge game. The graphics and storyline were extremely awesome. Loved that there's an icon indicating existing morphing items. Enjoyed all the puzzles and so love the HOP varieties and challenges. Great job to the team and hope to see more of your games soon. Have a Merry Christmas and New Year and stay safe and creative! Rated 5 out of 5 by sfr8rfan from This is a Gem of a Game I don't know why I'm surprised, but I am...and very pleasantly so! I have two other games in the Spirit of Revenge series but I have not reviewed them and I don't remember them (time to replay, methinks). I've completed the main portion of the game on a Mac Book Pro with Operating System 10.9.5. Gem Fury is a story-driven game with exceptional puzzles that move the game and the story, forward. This is exactly the type of game that I like. FUN FACTOR Once again, the ultimate test is whether or not I keep coming back to play with alacrity or with a big "ho hum." I couldn't wait to get back to this. Consequently, Fun Factor rates very high. VISUAL/SOUND QUALITY What you see: if there's a feature of the game which can stand improvement, it's the visuals. Though not bad, they lack the crystal clarity that we've seen in other great games. Still, the "items" are well drawn and the scenery is colorful. There's one in particular, a carnival scene, that's bright and perfectly rendered. In HOS you may have noticed that items are not always drawn with dimensional integrity (a button that's the same size as a watch, for instance). This is not the case with Gem and that's to be appreciated. What you hear: There are a number of voice actors who play the roles of boys and girls and they do credible jobs. The couple of adult characters leave a bit to be desired. The adult narrator is great...the perfect voice for telling a story. More importantly, the soundtrack is very good. It helps set a tone of urgency or impending discovery. There isn't active terror and the music isn't "scary." So, in addition to well chosen music, the producers have exhibited restraint as well. Toward the end of the game, the last 20% of the main game, Gem began getting glitchy. The soundtrack went silent, both voices and music. This is a disappointment to be sure. There is readable text but voice acting is more satisfying. Another glitch is a frozen cursor which requires restarting my computer. This may be a computer issue, not a game glitch. I'm not pointing fingers. It's disconcerting, whatever the cause. 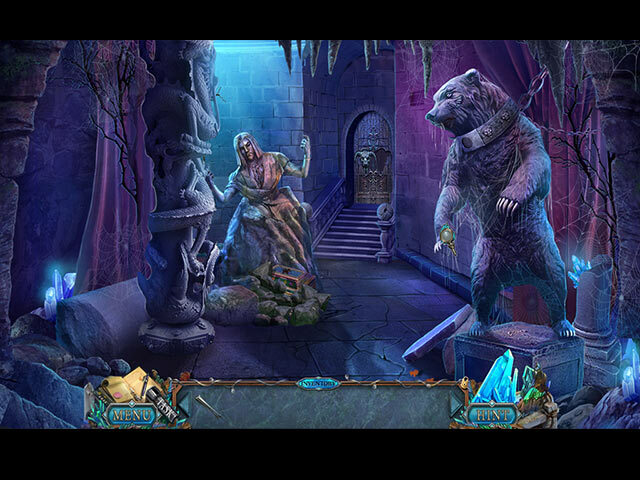 LEVEL OF CHALLENGE Hidden Object Scenes: are well drawn. They are not junk piles. They provide a bit of a challenge but nothing exceptional. There are a variety of formats. Mini-Puzzles: This is the STAR of the Gem Fury! There are many games, some of which are NEW to me. They aren't just new twists on familiar games, but completely new. This is exciting to discover during the course of play and I'm not going to give anything away. Suffice it to say, you will enjoy this. To me, this is worth the price of admission alone. There is even a super-puzzle in this game! Morphing Objects: Each scene has a morph. Kudos to the producers for not giving in to the challenge-robbing, "cursor as hand" while hovering over the beyond object. Though only a little difficult to find, at least they are not the total bust that so many games de-feature these days. Collectibles: The collectibles are personal mementoes of the young children who are the "co-objects" of our attention in the game. These are found in the normal course of play. Searching for them will yield nothing. This is not a challenge at all. STORYLINE As with many, if not most of these games, if you can suspend your disbelief in paranormal visages, you'll enjoy Gem Fury. The storyline is coherent and logical (after admitting that it's totally impossible....) In the Past: A teacher has been accused of misdeeds. She's disappeared and a number of children with her. In the Present: more children are disappearing. There's a connection! And Gem Fury is about finding the connection. This is an excellent game which I recommend highly. Should you buy it now or wait for the SE? Well, the morphs are not central to the game. The collectibles, while directly related, are not a challenge, so they don't really count as a bonus. The strategy guide is helpful though I consulted it rarely. There is the regular assortment of "who cares" extras. The value of the CE is to be located in the bonus chapter and Strategy guide. Otherwise, the SE will do nicely at a very approachable price when released. I did not want to wait. Try this for an hour. Depending on your queue of games, you might want to get this NOW. You will not be disappointed. Rated 5 out of 5 by BirdLover89 from LOVED This game is fantastic! I enjoyed it from start to finish. The parapsychologist is trying to locate missing children believed to have been kidnapped by their teacher. Everyone believes the teacher is mad but doubts begin to form in the para's mind. There was a variety of really fun games and puzzles throughout and the HOs were presented in a fun way--not the same format every time. I highly recommend this game. Another good factor is that the game is a good length, not too long nor too short. Love these Spirit of Revenge games! Thank you, game makers! Rated 5 out of 5 by 4myDestiny from Loved this game!!! The Vendel team did such an awesome job on this game, I enjoyed every little detail from start to finish. 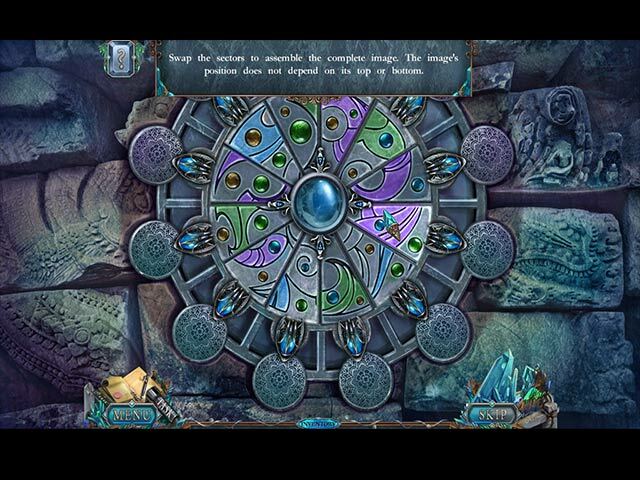 Great storyline, very creative artists, the puzzles were fun, challenging and original. This talented team gave it their all and the result was a perfect game in my opinion. Thank you for such an enjoyable time... I applaud you all at Vendel! Rated 5 out of 5 by pennmom36 from Four Innocent Souls Four innocent children have disappeared from summer camp, one of those kids is the niece of parapsychologist Brenda Gale. The camp counselor Molly seems to be possessed, chanting "you can't have the children, they're mine now" Could there be something evil lurking within the gem mines of this town? Is history repeating the events that took place in 1931 when four children were kidnapped by their teacher Miss Cameron? Who's spirit is seeking revenge on the lives of four innocent children? Could there be a link between these children and the children from 1931? A simple Ghost catching apparatus is all you need on this investigation, well, that and maybe some Morphing Objects to earn some extra hints too. You'll also have to search for the six original possessions belonging to Alex, Rebecca, Sullivan and Linda, that tuck neatly into their person storage boxes, and will hopefully set their innocent souls free. There are no Achievements to earn but there are complex inventory items and some screens allow you to pan up, down, right and left, but the lack of extras in this game allows you to fully concentrate on the storyline, which is awesome! The Hidden Object Scenes are really, really good, it's actually hard to figure out what's a Hidden Object puzzle and what's a Mini game Puzzle! You may have to find clues that match the kid's individual personalities (using clues given) then you have to put those item into their correct backpacks. Another scene has you matching pairs of words written by the same person, then you find pictures that match each child's interest on a poster board and place plaques that match the silhouetted shapes. The Mini Games seem to be a little too easy, but lately all games seem to have simple puzzles. Below is a list of brief descriptions on some of the games you will encounter during the game: 1) Climb up a cliff by choosing sturdy rocks, limbs and crevices. (at least you don't have to match them) 2) Press buttons in the order shown on the note. 3) Enter the activation code on the device by pressing the button to choose the correct symbols as soon as they appear. 4) Arrange tiles so they match the wires on the frame with the correct number of connections. 5) Shoot a BB gun at the correct animal that matches a description given. This Collector's Edition has pictures of the VG team, 28 Morphing Objects, 6 collectible items for each of the four missing children, Wallpapers, Music, Concept Art, a built in Strategy Guide and a Bonus Chapter, enjoy! Rated 4 out of 5 by asmatcollector from INTERESTING AND DIFFERENT INTERESTING GAME! Different puzzles, some easy, some not. The story is compelling though supernatural, the graphics could have been better but the game is good enough so far (have only played the demo and will buy) and kept my interest (in spite of the not always crispy background) which is unusual these days as all the games resemble each other and make so little sense that I lose interest. Here, the clues were not absurd and the objects found made sense, and I appreciated that. Nice!